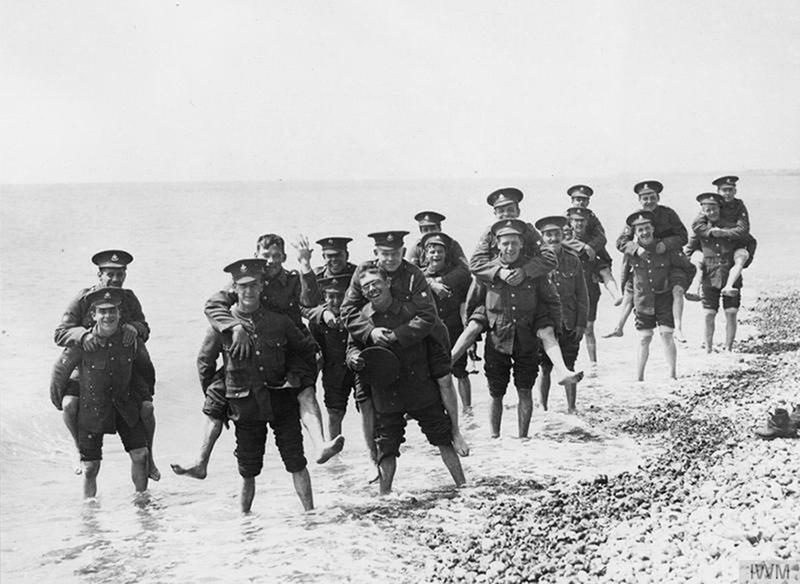 These photos gives us a new glimpse of the life of soldiers during World War I. 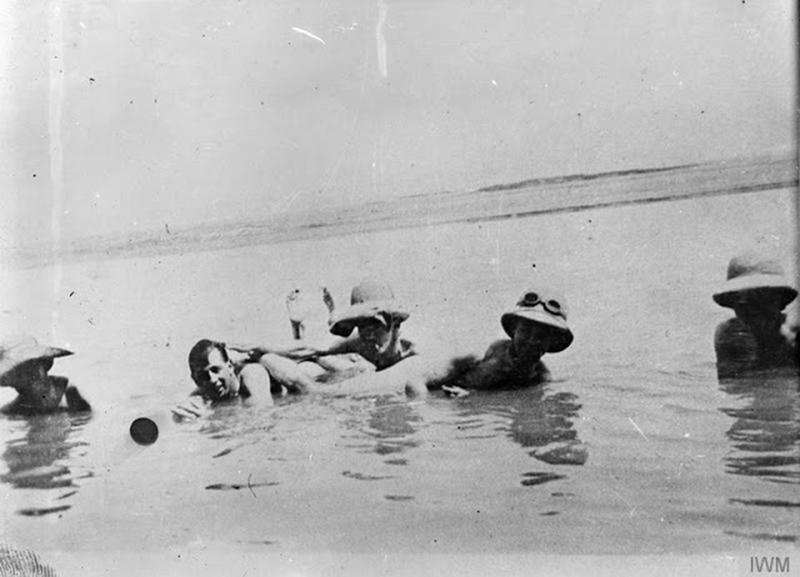 No signs of guns and mortars and bombs, only happy faces of soldiers enjoying their much-deserved break. 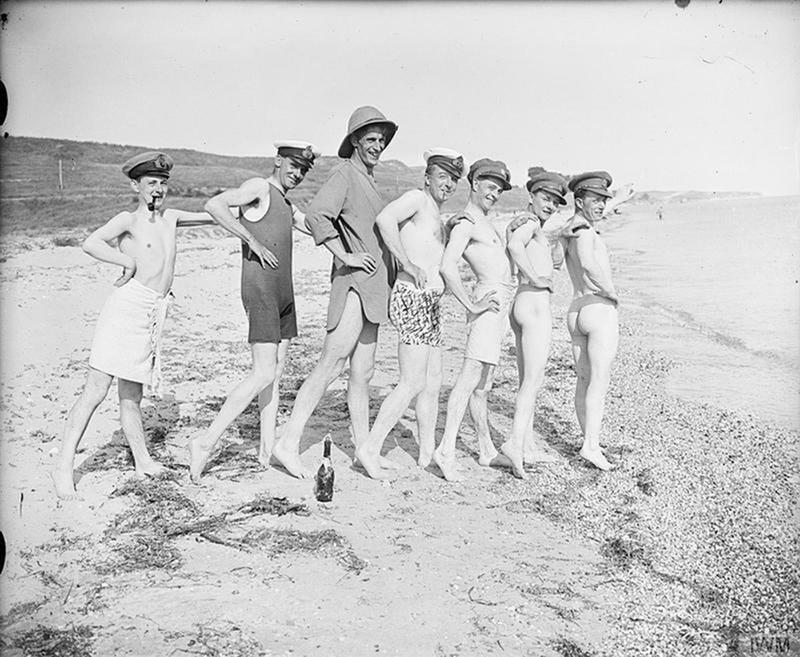 This is something we don't see everyday. 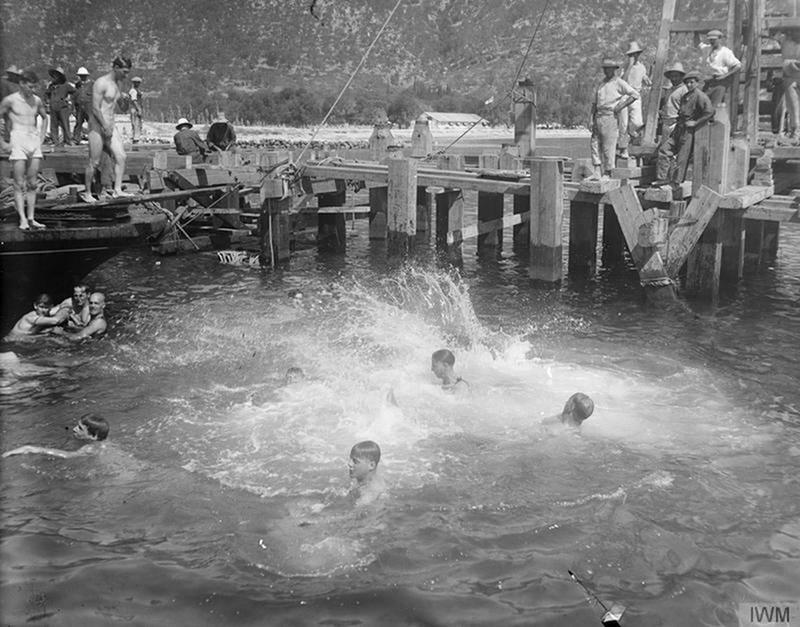 British soldiers having fun in the water at Corfu. 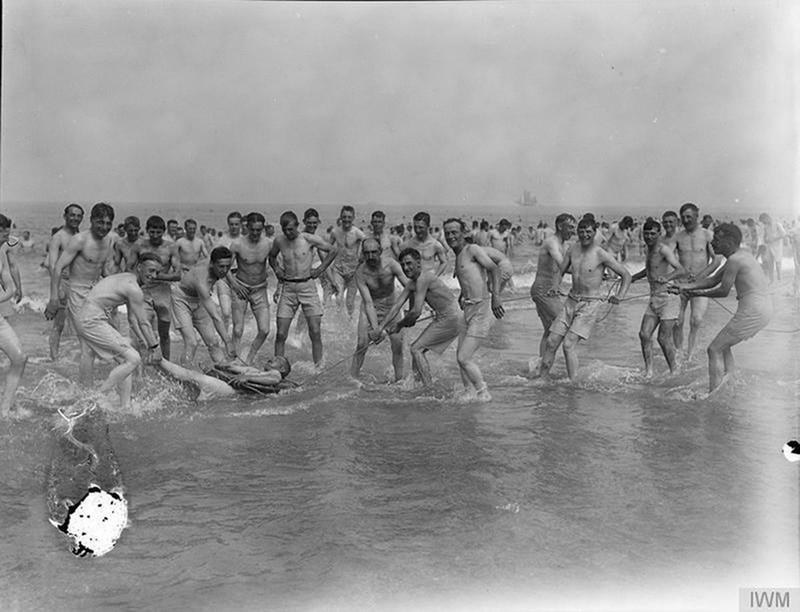 Soldiers from a convalescent hospital playing in the sea, France, 1918. 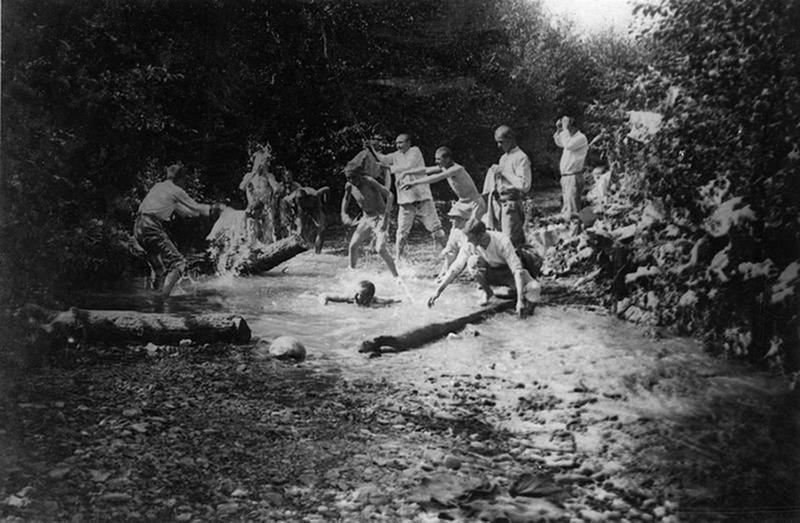 British troops playing with a ball in the water at Corfu. 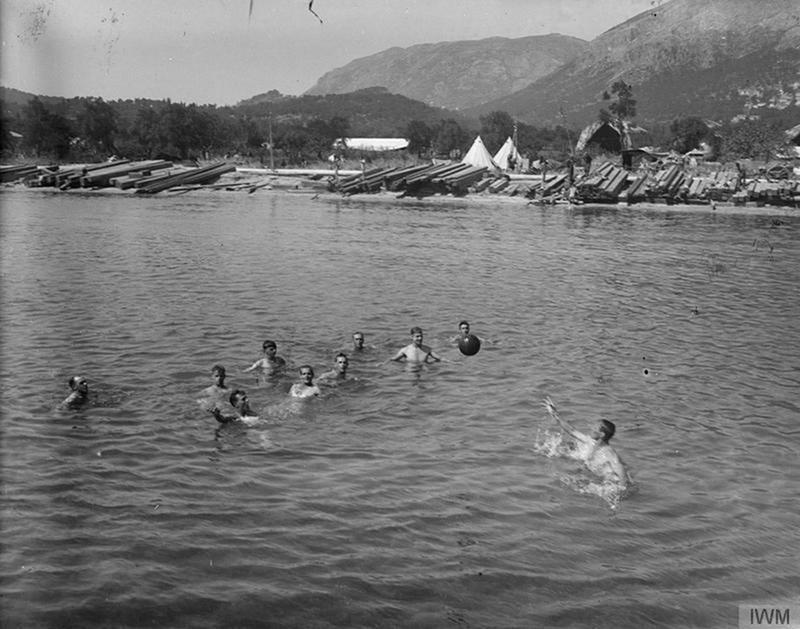 Members of an army entertainment troop poses after a swim in the Sea of Marmora, Turkey. 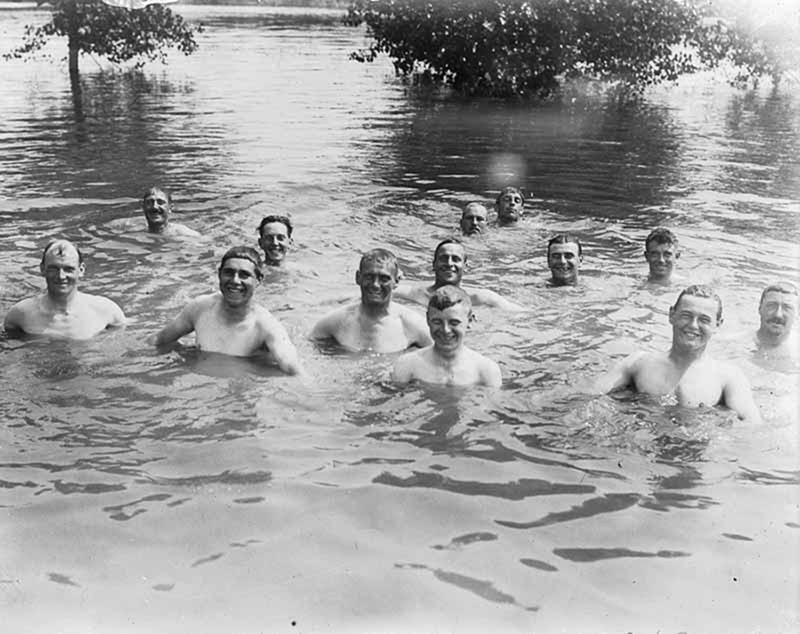 Soldiers smile for the camera during a swim in Somme, France, 1916. 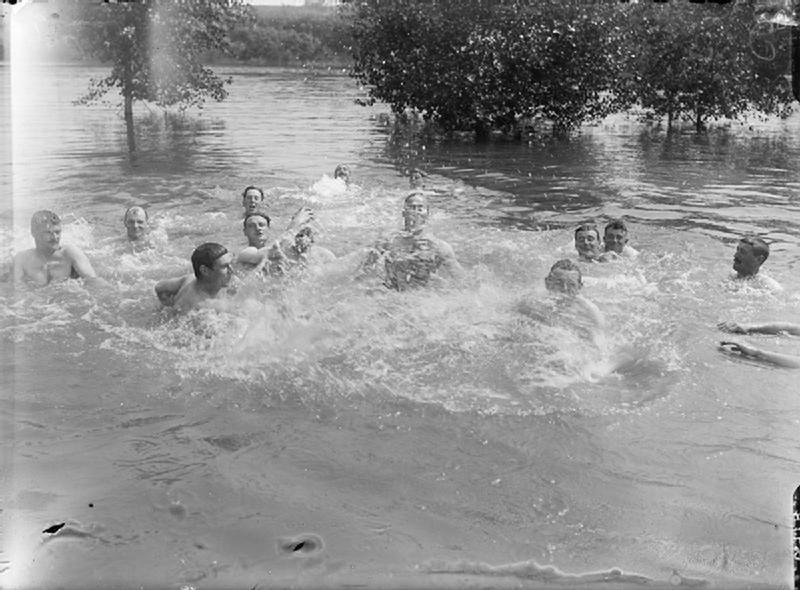 Romanian soldiers in a pond in the Balkans. 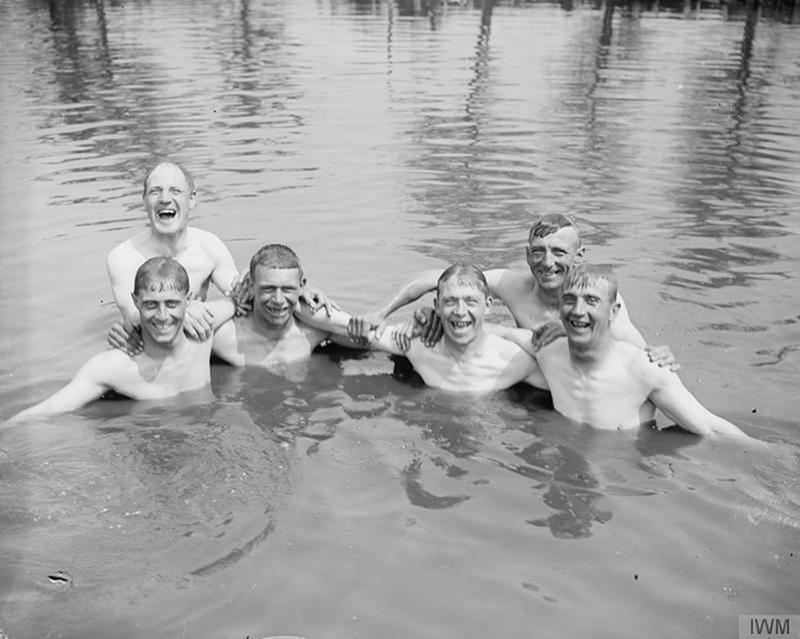 Soldiers in a farm pond near St. Eloi, Flanders, 1917. 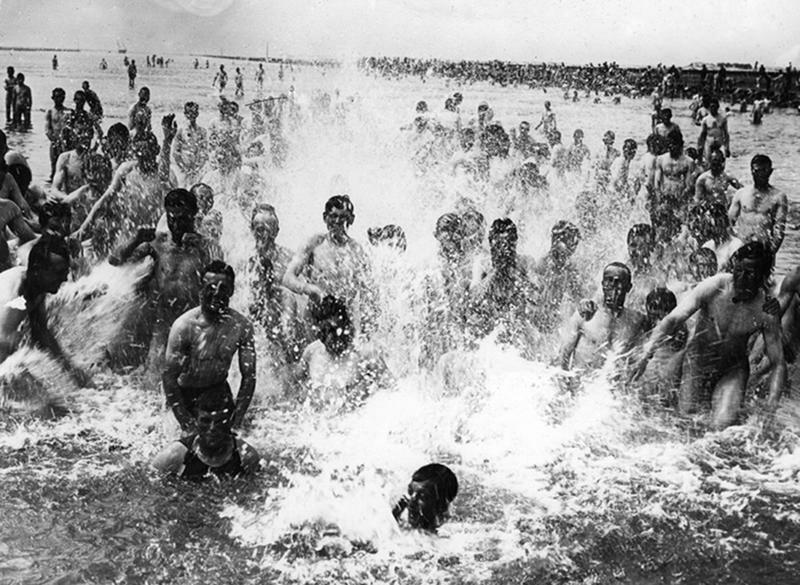 Splashing in the sea at Etaples, France, 1917.